HOW IS OUR PATCH DIFFERENT? The Pure Ratios Topical Reservoir Patch design enables pure dosing of non-DMSO, GMO free, all natural medicine. Some patches utilize DMSO (Dimethyl sulfoxide), an industrial solvent that is a by-product of making paper as an excipient, the delivery method to get medicine across the skin barrier. We have chosen not to use DMSO as our delivery method. Our excipients are all organic. Additionally, we do not mix adhesive in with the active components, unlike the other patches on the market. The competitive patches currently available all use monolithic (single layer) design, where the medicine is mixed in with the adhesives, which takes up surface area and restricts absorption of available medicine. This is why they cannot deliver a longer-term effect using their design. Additionally, the adhesive and its chemicals are absorbed into the bloodstream along with the medicine. No adhesive is absorbed into bloodstream, only pure medicine is absorbed. No chemicals added like DMSO (which is illegal in CA). 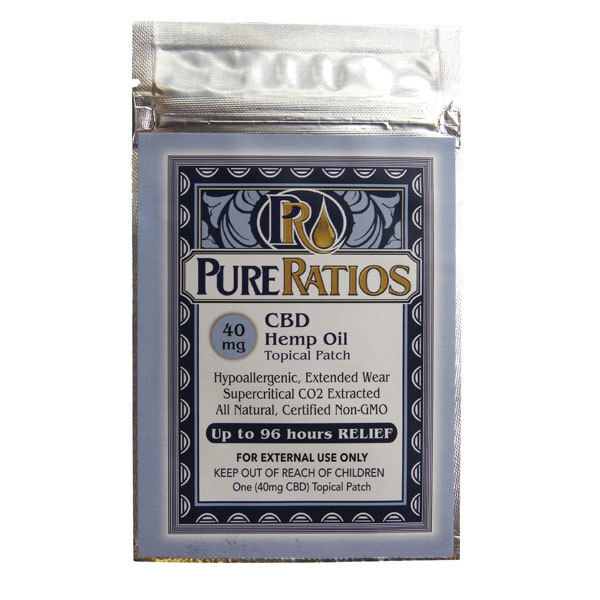 Uses whole plant supercritical CO2 extracted oil to provide all of the goodness of the natural plant. Reservoir Patches provide accurate ratios, and larger quantities of available cannabinoids for delivery. Reservoir Patches provide fast and effective delivery of medicine outside the digestive process providing undiluted absorption of cannabinoids into the bloodstream. Pure Ratios Patches provide a significantly longer period of dosing, typically 3-4 days (up to 96 hours) because of our unique reservoir design.Our water resistant adhesive stays put to allow for prolonged adhesion to skin surface, promoting long term delivery.